Get Ready For The St Francis Bay Oktoberfest 2017. 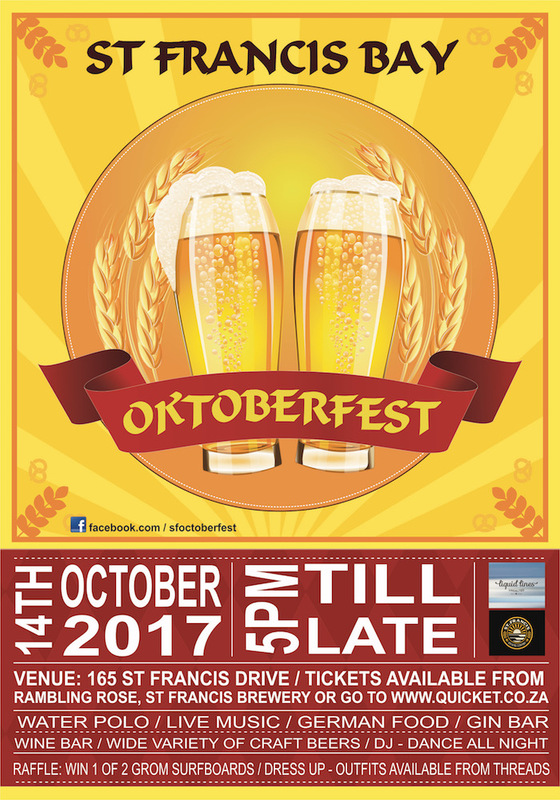 Join us for the 2nd annual St Francis Bay Oktoberfest on 14 October 2017. Set in our beautiful seaside village, this is an Oktoberfest experience not to be missed. Last year we had so much fun dancing late into the night, and this year promises to be another party of note. Get into the spirit of things and dress up! Book your ticket asap as numbers are limited. Sample a range of top quality craft beers from St Francis Brewing Company, Poison City Brewing and more! Expect live music, DJ’s, a vast selection of quality craft beer, gin bars, traditional German food, market vendors, surfboard giveaways, dancing and a whole world of fun! This event, set up by parents of the St Francis College to bring some fun and an element of school fund-raising into St Francis Bay in a traditionally quiet month, has become a highlight on the St Francis Calendar, for both St Francis residents and homeowners from surrounding areas. This year initial sales show much interest from outlying areas, with our neighbours who are keen to come over the Kromme River and have a look-see at what cool events we have in St Francis Bay. 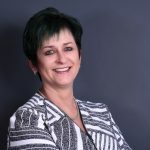 The Oktoberfest will once again be presented by St Francis College, and the parents are working hard in order to grow this festival, to make it a highlight event in the Kouga region. In addition to the Beerfest and party, this year there will be a water sport event – Water Polo In The Canals – run by our local open water swim club and Liquid Lines swimming facility based in Cape St Francis. This is the next step in our vision to bring a complete “lifestyle festival” to our village. To support the Oktoberfest and the St Francis College, the St Francis Surf Factory has donated two ‘grom’ boards towards the fundraising. Raffle tickets are R50 each, and the two winners will each with a custom-ordered ‘grom’ board valued at R4,000 each. So buy some tickets for your kids. Winners will be announced on the night. Date and time: Sat 14 October 2017 at 5pm till late. For more details contact the event organiser: Geannè Darke, geannedarke@gmail.com, 082 809 8118.